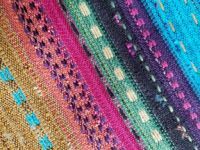 Full color Monograph illustrating the step-by-step process of putting a chained warp on the loom from the front, sleying the reed, threading the heddles and beaming onto either a standard or sectional warp beam. 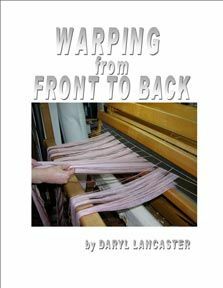 This monograph assumes some basic knowledge of the warping process, such as winding a warp chain. 24 pages.